The dating world is tough even when you can have a few cocktails or a glass of wine. If you are newly sober and asking yourself “How am I supposed to do it stone cold sober?” – you are not alone. 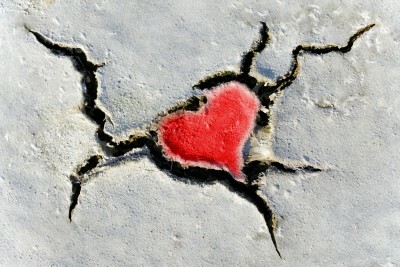 Being in recovery is both a blessing and a curse in terms of honing that romance detector. Your mental faculties are clear enough that you’re more aware of potential mates, but without the crutch of alcohol to lessen inhibitions and the dim lighting of a bar to make everything seductive, it’s often more difficult to feel comfortable approaching a complete stranger. Anxiety and fear makes the early stages of dating while sober challenging. Many people who are newly sober have never dated before without being under the influence of alcohol or drugs. It can be terrifying to be completely sober on a date, but the good news is that the longer you’re clean, the easier dating gets. So what can you do to find people to practice—and potentially succeed—with? Ask yourself what you’re interested in that doesn’t involve drugs or alcohol. What do you do with the time that you would have been drinking, drugging or hung over? What are the things that make you happy? And what would you like to do that you’ve never tried before? Abandoning the darkness of active addiction leaves a significant space for new interests to develop or old ones to be rediscovered, so why not go back to childhood, adolescence or those infrequent days of unintended sobriety and try to remember what moved or inspired you? Then do it. After leaving the haze of active alcoholism or addiction, you may develop a newfound interest in taking care of your body. There is no reason to be bashful about picking up equally health-conscious dates at the gym, hiking or in a yoga class. With Internet dating, you can say you don’t drink before the date, which really helps weed people out. There’s also the option of signing up for a sobriety specific social network. Regardless of how you eventually meet someone, it will be liberating to be in control, compared to the fog of inebriation. You will also always remember the date, and all of the seemingly small details that may someday make up a meaningful part of your love story.